JOIN ME FOR A SPECIAL END OF SUMMER FULL MOON (WOMEN ONLY) SESSION, BACK ON THE AMAZING SPACE THAT IS THE RADIANT YOGA ROOF TERRACE! 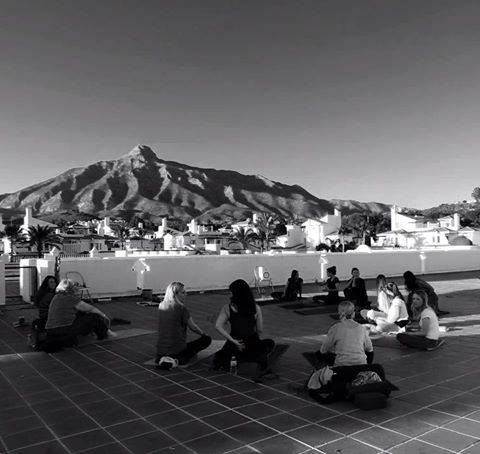 Our time together as a circle of women will be spent gently exploring some of the beautiful and potent kundalini kriyas and meditations gifted down by Yogi Bhajan for women only, as well as with some powerful affirmation work. But we are enough. YOU ARE ENOUGH. You are beautiful, yes you, reading this right now. YOU ARE BEAUTIFUL. You are radiant and glorious and extraordinairy. All women are. So let us take some rare time in a safe space amongst one another to begin to cultivate a new way of viewing our own gift of womanhood and unite as a circle of sisters to celebrate and reclaim the beauty and self love that was stolen from us. Sound a bit confronting?! Thats ok! Its only when we take a step outside of our comfort zone that the magic really starts to happe... so open your heart to a new experience and step in....I promise to hold the space for each and every one of you so that the evening will be nothing other than fun, joyous, touching, and potentially transformative.